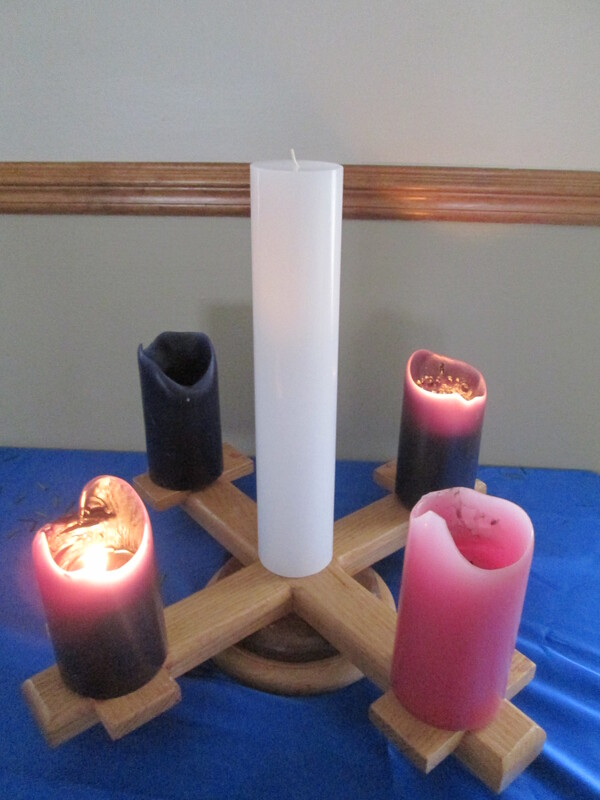 I am preparing for this upcoming Sunday’s worship service–the second Sunday of Advent. The Advent Conspiracy theme for this week is “Spend Less.” And I should give credit to parishoner and friend Thomas Heilke for the phrase “right relationship with the economy”–which he manages to use about once a month in his insightful responses to the sermon. One: As we live within this season of Advent, we long for peace–peace within us, peace among us. All: O Lord, hear our prayers for peace. All: but a peace that comes from a right relationship with God and with each other. One: Let us light the candle of peace. One: Let us pray. Holy One, may these flames shine the light of truth on the false promises of peace that the world offers. All: May our time of worship draw us into the true peace of your eternal presence. Amen. *You can find last week’s liturgy and links to some wonderful Advent writings by others here. *Last Sunday’s sermon about the magi and worshiping fully is here.